Venice : Aldus Manutius, Romanus, 1 November 1495. Collation: A-C⁸ [Delta]⁸ E-K⁸ L-N⁶; a-c⁸ d-e⁶; f-i⁸ [kappa]⁸ l-q⁸ r-s⁶: 234 leaves. 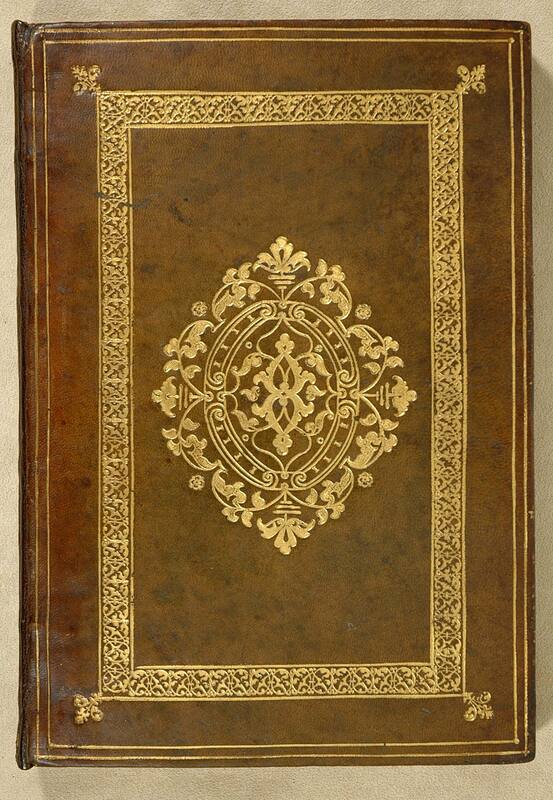 Edited by Aldus Manutius and Alexander Bondinus. Includes Greek epigrams and prefatory letters by Aldus Manutius and Scipione Forteguerri, and a foreword by Alexander Bondinus. Imprint from colophon (leaf s6r): "Impressum Venetiis dexteritate Aldi Manucii Romani. Calendis novembris. M.CCCC.LXXXXV." Manutius issued the entire Opera in five parts, dated: I) Organon, 1 Nov. 1495 (PML 1126/ChL 989); II) Physica, Feb. 1497 (PML 1127/ChL 997, PML 19117/ChL 997 c. 2); III) De animalibus, 29 Jan. 1497 (PML 1128/ChL 995); IV) Theophrastus, De historia plantarum, 1 June 1497 (PML 1129-1130/ChL 998, PML 34896/ChL 998 c. 2, pt. 1 only); V) Ethica ad Nicomachum, June 1498 (PML 1131/ChL 1008). Printed in Manutius's types 1:146Gr and 3:108R. The first of the volumes of Aristoteles's Opera printed by Aldus Manutius in 1495-1498, but considered by him to form an independent work (cf. Walsh 2630). The last two words of leaf a7r read either "episēmais apodeiktikais" or (correctly) "apodeiktikais episēmais" (cf. BMC V 553). Woodcut headpieces and initials; diagram on leaf I1r. Inscriptions, abraded (front pastedown and first fly leaf recto); shelfmarks(? ), 5: 15: 6 (first fly leaf recto) and 196 (first fly leaf verso); [Joseph Juste Scaliger (1540-1609), note in Heber catalogue; Scaliger sale, Leyden, 11 March 1609, p. 10; Gerard Meerman (1722-1771) and Johann Meerman (1753-1815); Bibliotheca Meermanniana sale, The Hague, 1824, p. 216, no. 466; Richard Heber (1773-1833); Bibliotheca Heberiana sale, Sotheby's, Part I, 10 April 1834, lot 503, purchased by Payne and Foss, booksellers; Mr. Miller of Lincoln's Inn (see Acheson note); James Bohn, bookseller to Acheson]; Archibald Acheson, Earl of Gosford (1806-1864), bibliographical note citing earlier provenance (formerly in box with PML 1126, now in departmental file); James Toovey (1814-1893), booklabel (front pastedown); Pierpont Morgan (1837-1913), purchased with the Toovey collection, 1899.